How many media interviews did I think I would do when I started working in an archive? Zero. How many media interviews have I done in the last two months? Eleven. These media interactions have included interviews for television, radio, magazines, newspapers, and online only forums. This work has centered on promoting the work of the Shingwauk Residential Schools Centre and the recently unveiled Reclaiming Shingwauk Hall exhibition at Algoma University. This rapid increase of interview requests got me thinking about public historians in the news and ways to work with the media. Both academic and public historians have a role to play in providing important historical context to the general public. Indeed, the mission of Activehistory.ca reflects just that desire as a website that “connects the work of historians with the wider public and the importance of the past to current events.” The desire to extend historical conversations beyond academia are something that fuels Active History, public historians, and many scholars who work in the public sphere. On a professional level, the Canadian Historical Association (CHA) has recognized the increase of historians in media discourse and has compiled an informal list of historians who the media may contact to comment on contemporary and historical issues. Similarly, Organizations such as the National Council on Public History and the Organization of American Historians have also offered professional development workshops on how historians can build a media profile, get published in mainstream news outlets, and how to navigate working with the media. How can historians work with media outlets? Providing historical context to present day events. Promoting ongoing public history work or community engaged scholarship such as exhibitions, community dialogues, and public talks. 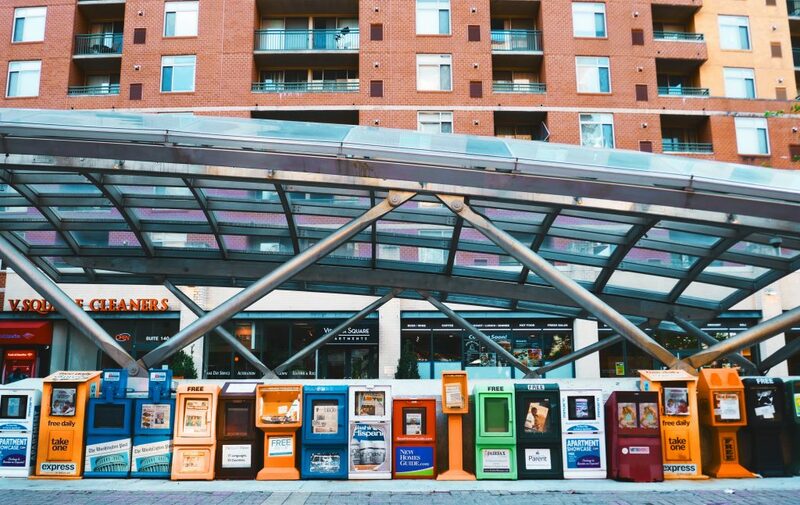 If you are interested in media engagement for promotion and coverage of upcoming events you need to learn how to write a press release or media alert. The Art+Feminism Organizing Kit has some good starting points for people interested in media engagement. Many media outlets routinely host think pieces on historical topics. Have something that might fit a particular outlet? Try pitching it. If you work within a larger organization that has a communications department I strongly suggest reaching out to them. They likely have established contacts with your local media and may be able to guide you through your first few interactions. In the case of my recent interviews, I was often discussing the Reclaiming Shingwauk Hall exhibition within the context of larger institutional commitments to working with Residential School Survivors and reconciliation. Working with the communication department helped me prepare for larger contextual questions that might come up in the interviews. If there is official verbiage or a media release about the project make sure you have access to it prior to your interview. Ask about the interview format. How long will it be? Will it be recorded live or taped? Think about what type of questions might be asked during live coverage and how you might answer them. Practice your responses. Know the audience of each media outlet you are working with – this information can help you shape the type of language you use and communicate your message more effectively. This also means knowing the politics and views of the outlet. If the politics of the outlet are dramatically different to the type of work you do, you need to consider how your information might be received. Ask about attribution and the nature of the interview – is the journalist doing background for a story or are they intending to quote you directly? Is Media Engagement Worth It? As someone who has engaged with the media as a way to promote public programming and increase the profile of community engaged work my response is a definite yes. Media coverage can drastically increase event attendance and helps my organization get the word out about existing programming. However, as someone who also has one foot in the academic world I was also struck by how to ‘count’ this work and the challenges that continue to be faced by public historians in defining the ways in which their labour counts as scholarship. At the moment, my media interviews are part of my online portfolio but they aren’t part of my formal CV. I would love to know how other scholars keep track and count their media work as part of their professional portfolio. In 2010, the National Council on Public History, the American Historical Association, and the Organization of the American Historians produced the “Tenure, Promotion, and the Publicly Engaged Academic Historian” white paper. This report included best practices and recommendations for evaluating public history work within the tenure process. In the eight years following the release of the white paper discussion has indicated that these guidelines – though helpful – are not enough and we need to continue to discuss the ways in which public engaged work is measured and evaluated. Media engagement is a part of public engagement and research dissemination and it is something we need to continue to discuss as a profession. Krista McCracken (They/Them) is a settler scholar who lives and works on Robinson-Huron treaty territory, in the traditional homeland of the Anishinaabe and Métis. Krista is an Archives Supervisor at the Shingwauk Residential Schools Centre and an editor of Activehistory.ca.